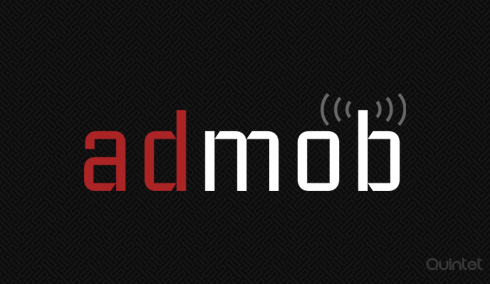 Admob is a mobile advertising platform that helps you grow your business. It was acquired by Google in 2006. Admob is one of the world’s largest advertising platform that offers solutions to all standard web browsers and many mobile platforms. It claims to serve around 40 billion ad banners and text ads per month. With Admob you can promote your app in a smarter way, maximize your earnings and can use robust ad filters. Admob helps to monetize your app, promote and analyse your app resulting in the growth of your business. Admob is built for app developers with an easy to use UI to help you start earning from your app quickly, create campaigns in apps to get new users and also get deep and accurate understanding about the app’s performance. Admob SDK is available for iOS and Android. Admob can be integrated into apps using this SDK. There are two main types of ads : Banner Ads and Interstitial Ads. Banner ads are small view ads whereas Interstitial ads are full screen ads. Interstitial ads are expensive and subject to impression constraints. There are also in-app purchase promotion ads that allows users to make purchases directly from within your apps. We have come across lots of iOS and Android apps where ads are used to promote the app. Here ads are used to earn money and to acquire more users for their app. Our developers are experts in working with Admob SDK. We can integrate the SDK for any type of ads you want. We can use several type of ads in a single app. Banner ads can be placed anywhere in the apps without distracting the user from using them. We can set the banner size and banner color. Auto refresh time can bet set or the ads can be refreshed wherever required on creating the app. We can also set smart banner depending on the orientation of the app. Banner ads appear from the development phase itself. Our experts are familiar in working with Banner ads, Interstitial ads, In-App Purchase Promotional ads and have experience in working with the initial version to the current version of admob. You can rest assured about the monetary benefit and increases number of users, implementing admod will bring.